Elsewhere on this web site I discussed sponsorships for motorsports racing. That discussion was limited to some of the major series sponsors which include Monster Energy, Mello Yello, Lucas Oil and others. Also discussed were the racing machine manufacturers such as Chevrolet, Ford, Toyota, Ferrari, Audi, Honda, Acura, McLaren, Porsche and BMW. Others that have a large presence in the world of motorsports are the petroleum companies that supply the products used in racing (and translate into sales at the consumer level of huge volumes of their consumer products). Companies included in the category are Sunoco Fuels, Lucas Oil, VP Racing Fuels, Motul, Mobil 1, Pennzoil, Castrol and the like. Tire manufacturers have a strong presence in racing sponsorship. Goodyear, Hoosier, Michelin, Pirelli, Continental and Yokohama are big players. Motorsports fans are known to be amongst the most loyal fans in the world. Simply stated they voraciously consume the products of the corporate sponsors who bring their favorite sport to the track every weekend. We’re not just talking about the big dogs here, either. Sure, you’ll see names like Home Depot, Target, Lowes, Miller Lite, Caterpillar, Monster Energy, Marlboro, Tequila Patron, Pennzoil, Shell, Bass Pro Shops, Papa John’s, Advance Auto Parts, Napa, Matco Tools, GoDaddy, Aspen Dental, M & Ms, Nature’s Bakery, Arris, Stanley Tools, Comcast, Subway, FedEx, Dollar General, DeWalt, Busch, Outback, Jimmy John’s, Mobil 1, Farmer’s Insurance, Quicken Loans, Panasonic, Mountain Dew, 3M, Nationwide Insurance, Axalta, AAA, Cheerios, Dow, McDonald’s, Cessna, 5 Hour Energy, Flying J, Smithfield, STP, US Air Force, Twisted Tea, Goody’s, Advocare, Fastenal, Cheeze-It, KFC, Kroger, Kingsford, Clorox, Bush’s Beans, Geico, Peak Antifreeze, Matco Tools, Mac Tools, Amalie Motor Oil, Sealmaster, Panasonic, Steak ’n Shake, Verizon Wireless, Sirius XM, Fifth Third (5/3) Bank, Logitech, Red Bull, Rolex, Emirates, Heineken and on and on and on. These are the stalwarts of the upper echelon of motorsports and racing series. But the same fan loyalty to their favorite drivers and teams manifests itself in the less visible racing series. NASCAR, for example, has many different racing series based around their "Home Tracks" These could be cars competing in The Whelen Modified Tour, The Whelen All American or the K & N Pro Series. Many of the home tracks also offer true local racing events such as late model racing, figure 8 racing and demolition derby events which bring out true local business sponsor’s names adorning the vehicles engaged in these speed contests. 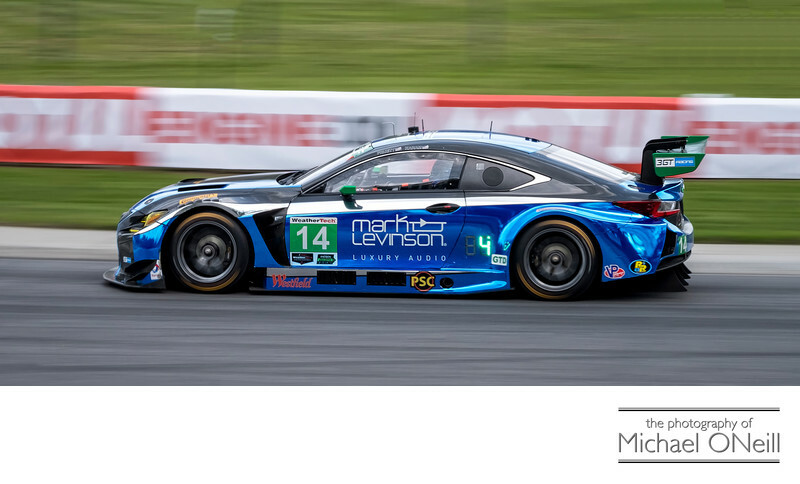 Advertising is for every business and sponsoring a motorsports team is one of the greatest ways to get your message out to the public with one of the strongest returns on investment in the advertising world.